Life Fitness Activate Series Upright Lifecycle Exercise Bike is the amazing exercise bike. This exercise bike is highly durable and its reliability-tested cardio equipment makes the most of any space and helps exercisers do the same.Lifecycle Exercise Bike can be seen in every aspect of this design, from the durable frame to the intuitive console. Lifepulse™ digital heart rate monitoring hand sensors areconveniently placed on the handlebars to provide accurate heart rate monitoring and Polar® telemetry provides hands-free heart rate monitoring when used with an optional chest strap. Activate upright bike follows our tradition of biomechanically efficient body positioning with just a simple seat adjustment through a combination of crank, handlebar and seat position geometry. Custom-designed system is quiet and virtually maintenance-free. ToughTrain 3.5 out of 5 This exercise bike can be a good choice at this price and also having above than average features and attractive features. *Note: Most of the sites, stores or shopping portals listed above sell Life Fitness Activate Series Upright Lifecycle Exercise Bike with discounts and other exciting offers. There is a possibility that the some of above websites are not selling Life Fitness Activate Series Upright Lifecycle Exercise Bike now. Toughtrain.com is not liable for such cases or instances. 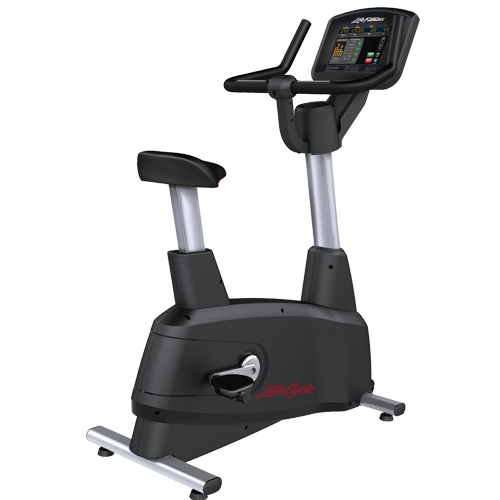 Also we do not recommend any seller for Life Fitness Activate Series Upright Lifecycle Exercise Bike and a buyer should buy from where he/she gets best deal with quality of products, service and on time delivery (shipment).